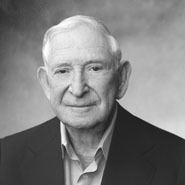 Businessman, philanthropist, and sports-team owner Bill Davidson has the distinction of being the only owner in professional sports history whose teams captured both an NBA championship and a Stanley Cup in the same year (2004). Davidson headed Guardian Industries, a leading glass manufacturer and also served as chairman of Palace Sports and Entertainment, principal owner of the Detroit Pistons, the Detroit Shock, the Tampa Bay Lightning, and the Detroit Vipers. In 1977, The New York Times listed Davidson as one of America's most generous donors. He gave millions of dollars to Jewish and non-Jewish causes, including donations to Detroit-area cultural institutions, Jewish education, and scientific and medical research in the United States and Israel.